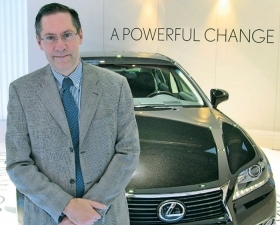 Karl Schlicht is the former vice president of Lexus Europe. Former Lexus Europe boss Karl Schlicht will return to the region from Japan to lead Toyota and Lexus' product planning, sales, marketing and aftersales. Schlicht will take over duties currently handled by Toyota Europe President Didier Leroy, who remains the automaker's top man in Europe as well as chief quality officer for Europe. Prior to his assignment in Japan, Schlicht, 51, was at Toyota Europe from 2005 to 2009. He served as vice president of Lexus Europe. Before that he held top jobs at Toyota Canada and Toyota Great Britain. Schlicht, who starts his new job April 1, is tasked with turning around Toyota brand's slumping European sales, which fell 8 percent last year to 527,206 vehicles, according to industry association ACEA. Toyota brand's sales in Europe after two months were down 11 percent. Lexus, meanwhile, more than doubled European sales last year to 27,016 because of the launch of the CT entry-premium car. Through Feburary, Lexus's sales are up 117 percent to 4,893 units. Toyota prefers to speak about its performance in the 56-market area that it classifies as Europe, which includes Turkey and Russia. According to the automaker, last year it increased Toyota-Lexus sales 2 percent to 822,386 vehicles in Europe. Takeshi Numa was part of Toyota's European team from 2004 to 2007. 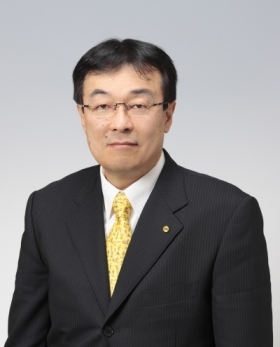 Toyota Europe also will get a new production boss on April 1 with the appointment of Takeshi Numa as executive vice president of manufacturing. He succeeds Hiroyuki Ochiai, 55, who will return to Toyota headquarters in Japan. Numa, 53, currently is executive general manager at Toyota's factory in Tahara, Japan. Numa was part of Toyota's European team from 2004 to 2007 as vice president of operations management development. That division focuses on strengthening the implementation of the Toyota Production System in Toyota's European plants. Numa also has had management roles in Toyota's U.S. factory in Kentucky and three of its plants in Japan. Leroy also received a promotion. Starting April 1, he will rise to senior managing officer from managing officer in Toyota Motor's global hierarchy of executives. Leroy, 54, started with Toyota in 1998 as a manufacturing vice president at the automaker's car assembly plant in Valenciennes, France. He has been Toyota Europe boss since April 2011.